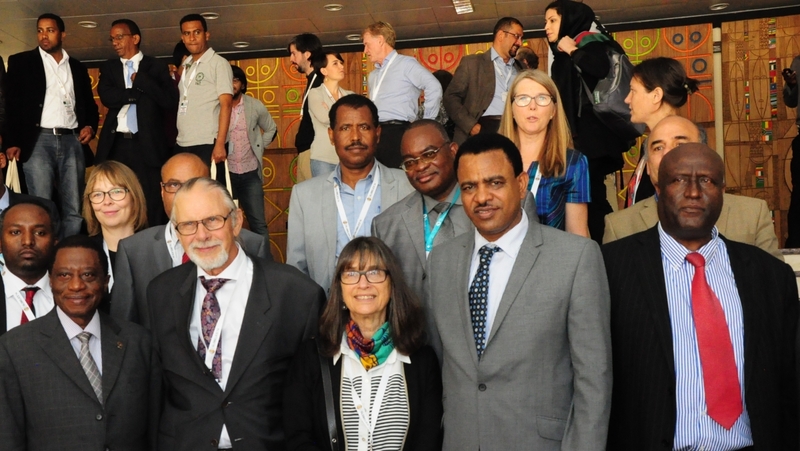 Addis Ababa University jointly with the Globelics Secretariat hosted the 12th Global Network for Economics of Learning, Innovation, and Competence Building Systems (Globelics) conference from October 29-31, 2014, at the African Union hall. Admasu Tsegaye (PhD), President of the Addis Ababa University, has officially welcomed and addressed the gathering at the Old African Union Plenary Hall. In attendance with a key note address was HE Kassa Tekleberhan, Speaker of the House of Federations and Chairperson of the Addis Ababa University Governing Board. Themed “Partnerships for Innovation based Development”, the main objective of the international conference was bringing scholars from across the globe and make them sit together and discuss on enhancing the quality of innovation studies and implement distinguished systems and good practices to enlighten policy making. In addition, the conference is expected to foster knowledge based, wide ranging and sustainable economic growth. Happening for the third time on African soil, the conference has gathered more than 270 leading scholars from both developed and developing countries in the field of innovation, technological change and development. The conference has featured presentation of more than 145 research papers in parallel tracks with panel discussions and plenary lectures. Prof. Martin Bell and Prof. Jorge Katz, the two leading scholars on innovation and development, have given this year’s key note lectures to the gathering. The Global Network for Economics of Learning, Innovation, and Competence Building Systems is an international network of scholars who apply the concept of “learning, innovation, and competence building system” (LICS) as a framework for promoting inclusive and sustainable development in developing countries, emerging economies and societies in transition. Having an open and diverse community of scholars working on innovation and competence building to promote sustainable development internationally, this global based amalgamation is further aimed to contribute to academic knowledge creation, exchange in the field of innovation, development and technology transfer. Addis Ababa University is delighted to host this internationally recognized conference and it is believed that it would be a good platform for knowledge creation and experience sharing amongst the participants.